At a press conference in New Delhi today, Motorola Mobility launched their much awaited budget Android smartphone, the ‘Moto E’. As the phone tagline says ‘Made to last. Priced for All.’, the Moto E is a pretty affordable phone featuring some impressive specs and a sure shot competitor to all the entry-level phones in India. 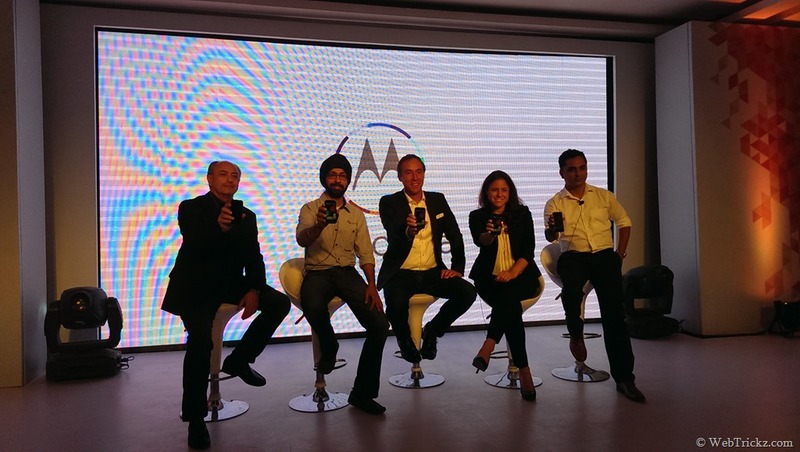 The Moto E has been launched at an exceptional pricing of Rs. 6,999 and just like Moto G and Moto X, the device will be exclusively available on Flipkart starting tonight. Moto E, the younger sibling of Moto G is specifically targeted towards users who desire to own a smartphone or are buying one first time. 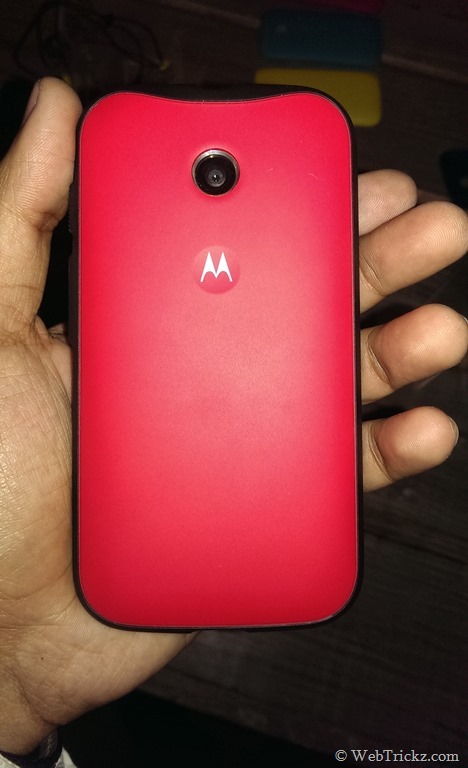 Moto E is a compact, beautiful and true value for money Android phone. The device sports a 4.3” display at 256ppi, is powered by a 1.2GHz dual-core processor, packs 1GB RAM and a long-lasting 1980 mAh non-removable battery. Moto E ships with Android 4.4 KitKat and Motorola has guaranteed update to next major version of Android. It features a 5MP rear camera, 4GB of internal storage (of which user available is 2.21GB), microSD card slot for expandable storage up to 32GB, scratch-resistant display, and Dual-SIM with intelligent calling that determines the best SIM for making calls according to your usage. The device packs a wide chrome plated front-facing speaker that emits decent sound and looks attractive. 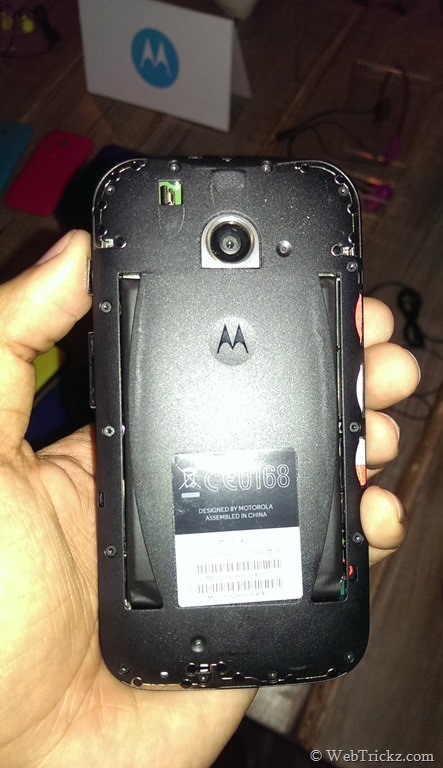 Moto E comes in 2 color – black and white. Furthermore, you can enhance the device look by applying Motorola Shells, interchangeable backs available in 7 different eye-candy colors. 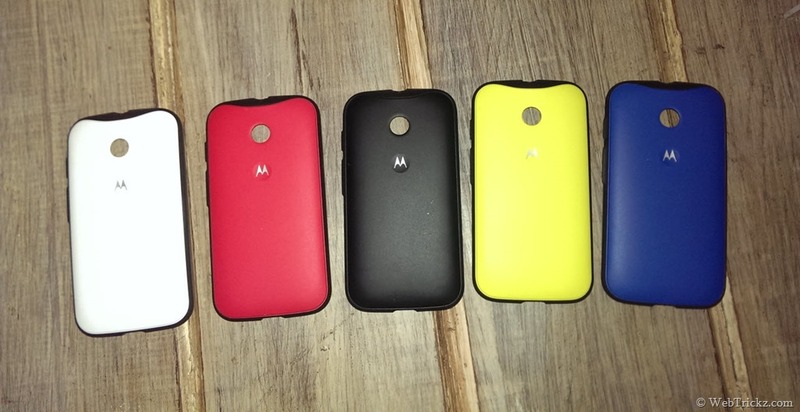 Bumper cases are also available for Moto E in 5 beautiful colors that fits snugly and offer a nice grip. Both the shell and bumper boast a premium matte finish that looks uber cool. To accompany with your favorite color back shell or bumper, Motorola has also introduced stylish Moto branded ear-plugs, that comes in 4 colors (Red, Yellow, Pink, Blue) and can be bought separately. 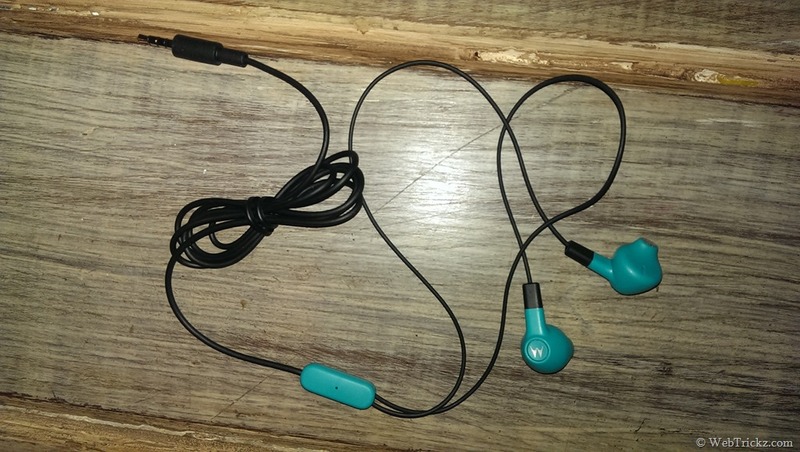 Standard earphones are included within the package as well. Moto E available tonight at 00:00 hours on Flipkart.com with incredible launch day offers! Its really unbelievable. 1 GB RAM in 7K that too with dual sim and other lot of specs. Surely to be a good competitor.